Our zip pouch contains a full cup of fresh and spicy tasting Jalapenos!Excellent for backpackers, RV'ers, or for your cupboard! Use dehydrated Jalapeno chips to add a South American flair to any dish! Our dehydrated Jalapeno Peppers have a "zing" to them, but they are not overpowering. Add a tablespoon to chili, mexican corn chowder, or any dish to give it the spice of life. Our ZIP POUCH contains a FULL CUP of fresh and spicy tasting Jalapenos! Excellent for backpackers, RV'ers, or for your cupboard! Use dehydrated Jalapeno chips to add a South American flair to any dish! Our dehydrated Jalapeno Peppers have a "zing" to them, but they are not overpowering. Add a tablespoon to chili, mexican corn chowder, or any dish to give it the spice of life. One pound of our dried jalapeno chips equal seven pounds of fresh--AND because they are dried, you can have them ready for use at any time! 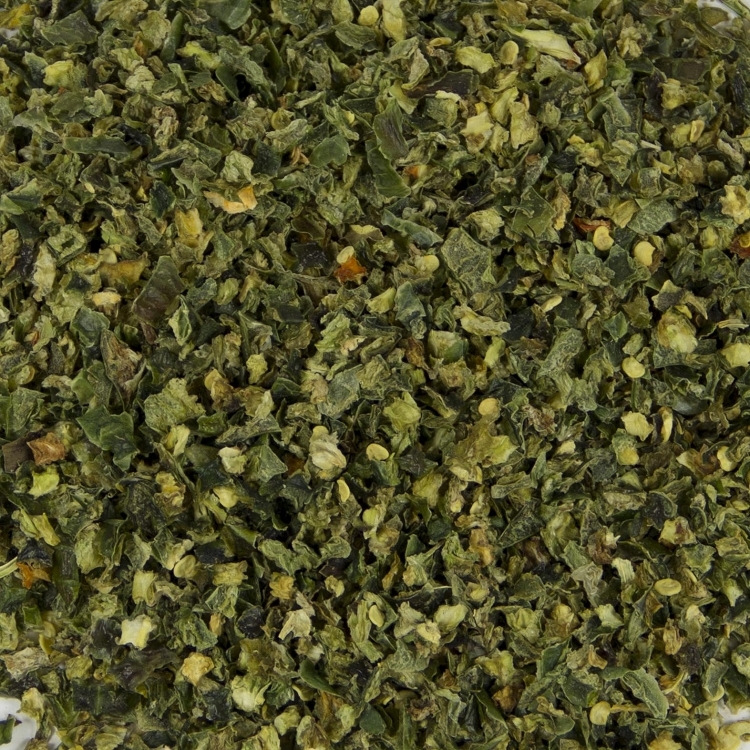 If 1.5 oz isn't enough spice, check out our 22 oz jug of dried jalapeno peppers. It's not going to blow your socks off, but it does add a nice, well balanced heat to dishes. To me, it tastes good. Just right for most dishes in a large quantity, comparatively. Even the most intolerant of hot peppers will like this in small quantities.